There are a lot of different ways to look at strength. The typical definition revolves around a capacity for exertion or endurance. You can see strength on the field, strength in the gym, and strength on the track in its various forms. But, there’s another definition of strength that is often overlooked. It’s the ability to resist force. Strength isn’t just exerting your force on the world, it’s also being strong enough to handle it when the world’s exerting its for on you. And that’s why you need to build other muscles besides the ones that make you look good in a T-shirt. That’s why I called in Jay Ferruggia. Jay knows a thing or 500 about building muscles and getting stronger. Today, he’s going to talk to you about progressive overload and other crucial things to help you keep getting fitter as the years roll on. 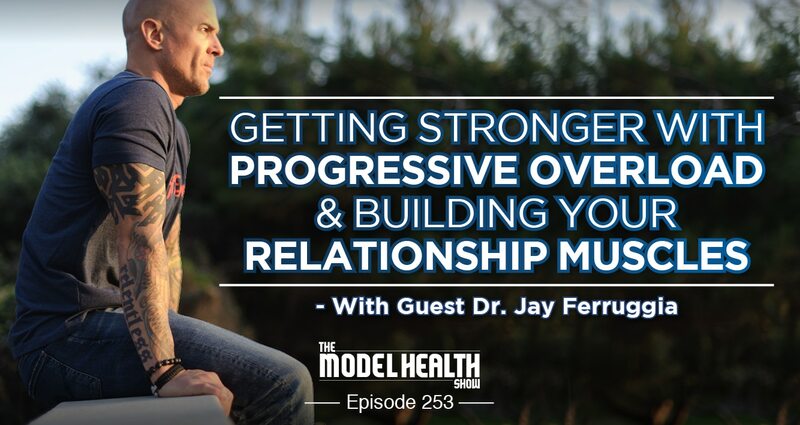 More importantly, Jay is going to drop some serious knowledge on building your relationship muscles, and how to ensure that you’re strong enough to handle it when the world decides to drop a flying elbow on you (cue Rick Flair hollering, “Woooooo!” right here). Your relationships (with yourself and others) is the real key to lasting health and success. Today, you’ll uncover some hidden gems that are going to help you stay happy, healthy, and successful long into the future. It begins now, in the present, with the one and only Jay Ferruggia. Why the internet can be a strange and scary self-diagnosis machine. How 80’s icons influenced Jay to go from a skinny-fat kid to musclebound beast. Whether or not 3 days of training can get you better results than 6 days of training. How Jay’s training has evolved over the years. Why we might want to place a higher value on being functional and not just having nice muscles. What progressive overload is and how it can help you improve for Years to come. How to make slight adjustments to your lifts to keep you progressing. How an injury forced me to stop overlooking things I know I was putting off. Why women have certain advantages in weightlifting compared to men. Why changing your body doesn’t change who you are by itself. Why giving compliments and encouraging others is like doing reps for your character. A simple tip to make sure you maintain a healthy social life. How building and supporting community can create great benefits for your health and well-being. How to use visualization to improve your relationships. The top 5 MCs of all-time (facts only!). Easy things to implement in your day to ensure better health and success. So in recent news, my son Braden who just turned six years old, he is now losing his first tooth. And his mom, who this is her first rodeo seeing this happen with her child, is bugging out a little bit. And those who have kids probably understand this. You know, I've done this twice before. You know, my wife and I have been together for almost fourteen years now, but I had two kids prior to meeting her, so I've seen the hammer time that can happen in your kid's mouth, right? One day your kid is just like, 'They're so cute,' and then the next day they look like they're an amateur boxer or something. Like just missing teeth, playing hockey or whatever. And they get it sorted out. And so for me, I know that a lot of times your body knows what to do, it can help sort it out. His teeth know what to do to a large degree. Now of course there is time when you need an assist, right? When you need a Magic Johnson or a Jason Kidd assist to get into the game and help fix teeth, get him sorted out. But for now, I think it's all good. But she took him for a teeth cleaning, and the dentist gave her a little cautionary advice that maybe he might have some issues with the teeth coming in because of how his teeth are positioned right now. And so I start to look at some of the paperwork, and she's done printed out pictures of like the most terrible looking massacre happening with teeth that I've ever seen. Like teeth on top of teeth on top of teeth. And it's just like we need to relax a little bit. It's going to be okay. But I can't say that, you know and #dontsaythistoyourwife. Don't just tell her, 'It's going to be okay.' Alright? That could set you up, you know? Or that she needs to calm down. Never say that. I just address and try to look at the situation in a rational and emotional position that she's in, and I didn't do the best job, but I did an okay job. Alright? So right now my son is still okay, and we're working on that tooth doing its thing. Kind of eating some apples, and some carrots, and things like that. He's excited about it, so just wanted to share that with you guys. Be careful about researching with Dr. Google because it can have you thinking that you are literally turning into a shark, or a shark person. #sharkpeople. I don't know if you guys have also seen the movie Sharknado, that just popped in my head too. True story, I got on a flight recently and saw the main character Ian Ziering, is that his name, Shoe? Yeah so I got on a plane, he had the biggest smile on his face, and just beaming. And- no and they also said that they want to go in deep water or whatever with sharks, and I was like, 'There's a movie about you,' right? And they'd never seen the movie, then I got on the plane, synchronicity. That's what life is all about. So on that note let's go ahead and dive in and talk about our incredible guest that we have on today, and this is a friend of mine, and just somebody who is truly, truly a pioneer in this field of helping people to improve their health and fitness online. And he's been in the game for many years, and he's just amassed so much knowledge as well. So today we're going to talk about building muscle, and we're going to talk about something even more important that's going on behind the scenes when we're trying to transform our bodies, and a bunch of other cool stuff as well. But before we do that, I definitely want to give a quick shout-out to the fact that so many people are now stepping up and vying for healthier options, paying more attention to the quality of the food that we're purchasing for ourselves and for our families, and also the quality of our personal care products, and our household products as well. Cleaning products, things like that that can contain some very toxic chemicals that many of them are proven to lead to things like I mentioned about strange rashes, right? But also autoimmune diseases, cancers, and things of this nature. If you think about parabens, for example, that are in a lot of personal care products. Or aluminum and all these other things. It can be a really treacherous area to start getting into, however the good news is that a lot of companies are doing things right today. The not so good news is that these things can be at a premium, they can cost more because they don't have government subsidies, they don't have the support, and they don't have the funding to get on the shelves because that shelf space at your local grocery store costs a lot of money, alright? And if you're a company like General Mills, you've got the bank to just keep your product in front of the consumer. And so what do we do? We go to these health food brand chain stores across the country, and also the mom and pop versions of those as well, and sometimes we pay more. This problem is finally being addressed by what I like to look as kind of the Costco version of Whole Foods online, which is Thrive Market. And they've really curated the very best products in nutrition, in personal care, in your household items. Detergent, things like this. This is where I get my products from today and I save so much money because they're cutting out the middle man. There is no store shelf space to buy, and they are carrying that saving onto you. And so you're literally getting products at upwards of 50% off. 25% to 50% off, and I just bought this- and I'm still using it, this huge container of coconut oil. It's the biggest container of coconut oil I've ever seen, extra virgin, organic, all that good stuff, and I literally would have paid $20 more buying this at Whole Foods, for example. And you can actually see a list of some of my favorite items that I get from them. Just head over to www.ThriveMarket.com/modelhealth. Not only are you already going to get 25% to 50% off the retail prices, because you're going to that particular web address that I just shared with you, you get an exclusive 30-day free trial membership, and you get 25% off your entire first order in addition to all of that. Alright so head over, check them out. They've got non-GMO categories, gluten-free, paleo, vegetarian, whatever it is that is kind of your tag that you're looking for, they have those things and they're from the very best companies because they've done the homework to really curate the very best brands. So head over, check them out, www.ThriveMarket.com/modelhealth. And now, let's get to the iTunes review of the week. ITunes Review: Another five star review titled 'So much love,' by MishNewman. Now that my child sleeps at night, it's amazing to see how my life habits have changed. I cannot thank you enough for the doors of knowledge that you've opened the entire world. Even if it is just the littlest changes, it's amazing to look at the past two years and see how much I have evolved from everything I've learned on this podcast. Shawn Stevenson: Wow, that was incredible and very unexpected. It went from hate to love in the span of barely two years. But wow, what a great story, and thank you so much for sharing that, and also sharing the honesty. You know, some of the stuff that we talk about can hit a pain point, especially if we're in a position in life where things are questionable, especially when we're under a lot of stress. Sometimes we don't want to hear the thing. We're just in it, but it's being able to have our eyes on the prize, and just having access to information that things can get better. Having access to information and strategies and tools, especially from people who've gone before you, and who figured out a way to get from where you are to where you want to be. And thank you so much for leaving this review over in iTunes. And everybody, thank you for leaving these reviews, please keep them coming. Head over to iTunes and leave me that review if you have yet to do so. Or whatever platform you're listening on, if you can leave a review, please pop over and do that. And speaking of people who's gone before you to pave the way, my guest today is the one and only Jay Ferruggia, and he's a fitness and lifestyle consultant for over twenty years of professional experience working with athletes, celebrities, military personnel, and entrepreneurs, and since 1994 he's helped thousands of people transform their bodies and change their lives. He's been featured in Men's Fitness, Men's Health, Muscle and Fitness, MMA Sports, Maxim Sports, Details, Fast Company, Entrepreneur, the Huffington Post, CBS, and ESPN, and so many other places. 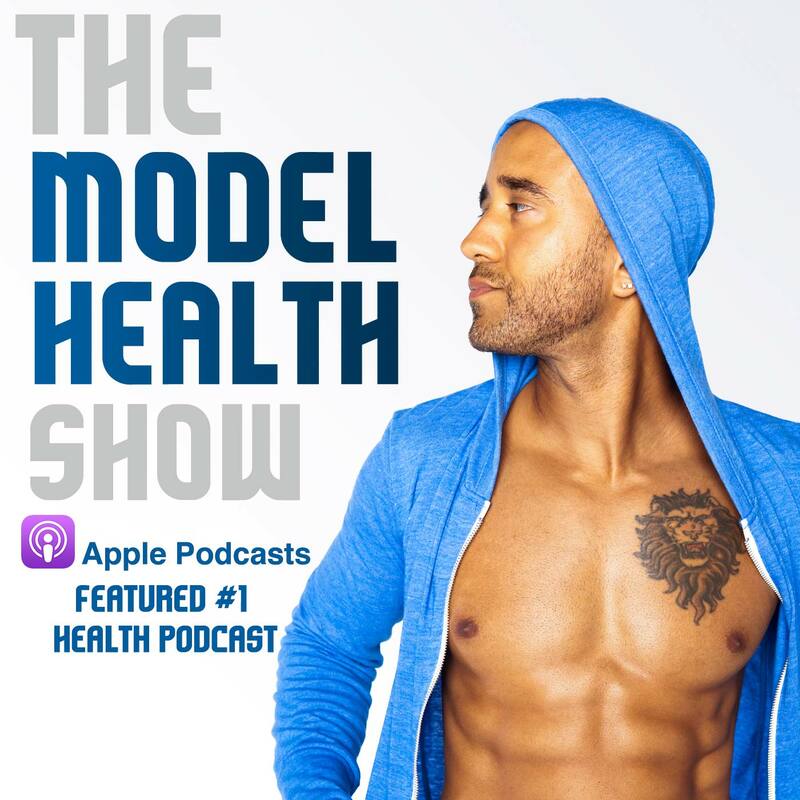 And now he's here to rock the house on The Model Health Show, and I'd like to welcome my friend Jay to the show. What's up, Jay? Jay Ferruggia: Yes sir, my man. Great to be here. Thanks for having me. Shawn Stevenson: It's totally my pleasure, man. I'm so grateful to have you on the show. I was just there with you not too long ago at your awesome place. Jay Ferruggia: And that was awesome. Yeah you know, just a quick thing for the listeners, like you could listen to somebody's show, you could talk to somebody on the phone, you could text with them, you kind of get a sense like, 'Man, Shawn seems like an amazing dude,' but getting to hang out with you from the second we connected, I was like man, this is like we're friends for life. Like this dude's an awesome, real genuine dude. Shawn Stevenson: Oh man, I felt the same way, man. Thank you so much for sharing that, bro. Shawn Stevenson: Everybody, please understand Jay is seriously one of the top guys to ever do this, and kind of even paved the way for myself and other people to be in this space and figuring out some things behind the scenes. But I'm curious to just kind of get started and let people know about you. And I want to know more about this story myself, man. But what was the initial inspiration for you to get into the whole field of health and fitness in the first place? So he started writing me programs, but I was doing- like I went from 0 to 100 real quick. I was doing no training and then all of a sudden I was doing two hours a day at like fifty sets a body part- like body part splits. And I got nowhere for about a year or so, I just couldn't move. I couldn't even comb my hair, I was sore all the time. Jay Ferruggia: So then I was like, 'Man I've really got to figure this stuff out,' and I just started eventually just reading everything, and then around 1993, Dorian Yates- I was kind of into- like back then you couldn't listen to The Model Health Show, you couldn't go online, all you could do was read bodybuilding magazines, you know? So I switched over to that style of training and I finally started making some progress, and then in the back of Iron Man Magazine back in those days, that was where you could order books. So I would order- I don't know how, but I eventually went down the rabbit hole and got into all the old school stuff. McCallum, and Super Squats, and George Hackenschmidt, and Arthur Saxon, and that was what really changed. I went from like the bodybuilding style workouts of six days a week to three full body workouts, and really started making some progress. And then it just became an obsession over time throughout high school and college, and I continued to just learn more and more. And I mean I can get into more detail if you want, but that was like the beginning. So where did that crossover happen? Jay Ferruggia: Yeah so in college I started studying exercise science, and I was ordering- again just ordering every VHS tape out of the back of Iron Man Magazine, and getting my first certification. And I just felt empowered, you know? Like being physically stronger helped me be mentally stronger and more confident, so I was like, 'This is really something I want to do. I want to help people.' Because I had lived in pain. Jay Ferruggia: Yeah no, 100%. Shawn Stevenson: Wow, man that's powerful. And you've been able to accomplish that. You know, you've literally helped people all over the world since- some of the listeners right now, since they were literally in diapers, you know? Shawn Stevenson: And I'm sure your approach to training has evolved over the years as well, and I'm curious- so we started off with a lot of heavy lifting, and a lot of volume. So I know that your training style has evolved. What does it look like today? Let's talk a little bit about that. You at age eighteen versus you today, and just share how old you are today. Jay Ferruggia: I'm 43 today. So I'll just take you back a little bit. During the heyday, when I was my biggest and my strongest, the way I trained and the way I trained everyone at my gym who was predominantly- it was probably like 70% athletes. Eventually I found power lifting, and Westside, and I was largely influenced by Westside Barbell Club and Louie Simmons. So we took kind of that system and I kind of modified it for my own needs, and the needs of my athletes and clients. So we had a heavy upper body day, a heavy lower body, and then a rep-up of upper body day, and a strong man day. And the strong man days were so, so much fun. Like to this day, people that did those days, they were 18 to 22 back in those days, they're 35 and they'll still text and call me like, 'Oh I miss those days.' They'll still reminisce. Like if I put up a post on Instagram they'll talk about how those were the best days of their life. And I think that's important for anybody who owns a gym is make it their third place. You know, like community and connection are what people want so much in life, so that was what I really did all those years at the gym. The training is one thing, and it's awesome to help people get a scholarship, or break a record, or sign with a pro team; but when they say their lives have changed, their parents come in and say, 'Billy's a better kid because he came here,' or they've developed life-long relationships. Like that was so important. I always place that just as high on the totem pole as the training itself. So anyway, that was the kind of system we used forever, and back then I was kind of out of control, and super intense, and just went way too heavy all the time, way too hard. And they'd be like, 'Bro, you just missed it with fifty pounds lighter.' I'd be like, 'No, I've got this.' And like that was what I did 52 weeks a year, so eventually you're going to accumulate a lot of injuries doing that, you know? So fast forward to where I am now at 43, definitely don't do that anymore. Finally smartened up, and I train with more of an emphasis on safety and longevity and always being ready. Like I don't want to be crippled from my training so where someone says, 'Hey bro, let's go play beach volleyball, or let's go surfing, or let's hike,' and I'm like, 'No I can't. Like I destroyed myself yesterday.' I don't want that anymore. So it's more I'll do kind of slower tempos, I'll do safer exercises. If I'm going to do big heavy lifts, I'll put them third or fourth in the program. So like let's say if I was going to back squat, I might do single leg squats, and hip thrusts, and glute ham raises, and then squat. And then when I would squat, I might squat with chains, and I had a slow eccentric, just to make it a lot safer. You know if someone's a beginner at my age, they don't have to do all that because they won't be using as heavy weight, and they haven't accumulated all the injuries that I had from being stupid. Shawn Stevenson: Oh man, I love it, and just being able to be flexible. Because you know there are some guys who still, they just keep hitting their head against the wall, and they're not really adapting to the fact that their body is just not- number one, it's breaking down. And number two, it's just the whole point of having your health and fitness to be able to use your body, right? Shawn Stevenson: So what about this concept of progressive overload? And how important is that? Let's talk- first of all, explain what that is for everybody, and then how important is that right now in your life and as you move forward for all of us? Jay Ferruggia: Yeah so I think it's the most important concept in getting bigger and stronger is progressive overload. Now it changes as you go through the stages of training. As a beginner it's important, and you can add a lot of weight. So basically progressive overload means do more weight or do more reps with the same. You have to continue to challenge your body to grow and adapt. So let's say you do six reps with 100 pounds today. You want to do seven reps with 100 pounds next week, or six reps with 105. And you can do that as a beginner, you know Shawn, you can go up five pounds every workout. But obviously that stops or you'd be bench-pressing 1,000 in a few years. So what you have to do, is as you get smarter and as you evolve in your training, is I believe in variety a lot. So Louie Simmons was a huge influence of mine, and they would change workouts all the time. So now as a beginner, you need to stick with the same movements as you learn them. But as you get more evolved, and it's not randomness for the sake of randomness, it might just be a slight change. So let's say you bench-press with a sixteen inch grip this week. Next week it might be an eighteen inch grip. You might use fat grips. Like slight changes, so it's kind of the same but different. Those small changes are enough to help you avoid those overuse injuries, and then you can't set PR so you can't do a 45 degree incline dumbbell press for six weeks in a row and go up anymore as you get older, but you can slightly change it. Again, you could add fat grips to it, you can lower the incline slightly, you can pause for two seconds at the bottom, and that's how we track PRs more. Not trying to always go in and break the record that you set last week, because that becomes impossible. But you track things and over time you eventually get stronger. You have to go in with that mindset at the beginning, like set PRs, set PRs for the first few years, but as you get smarter and older you can't do that anymore, you get beat up. And the other thing too, is a lot of people only think of progressive overload is doing one to five reps. But you can do fifteens. If you can do dumbbell presses, let's say a flat dumbbell press, you can do fifteen reps right now with 60's. If you get to the point where you do fifteen with 70's, you're going to be bigger and stronger, so it doesn't just have to be lower reps.
That's what I do as I get older, I might track a twenty rep PR on let's say a dumbbell split squat, something like that. You're still going to be able to get stronger. Shawn Stevenson: I love it, man. Because it's getting out of the kind of cookie cutter press pull squat lunge, but just adding some variety. And even like the grip placement, that's something I was working on the other day. And people who follow me on Instagram, I actually- this was a couple months ago, I injured my wrist, and this was so random. I don't know if I detailed and actually shared what happened, so I'm going to go ahead and share since I've got the guy here who's been doing this stuff since I was in middle school. I did a heavy deadlift the day before, and we'll just say- and I was doing a nice amount of reps too. So it was heavy deadlift, maybe something around 400 pounds, and the next day I noticed my grip- and I've done this many times. My grip was a little bit weak, we'll just call it what it is, and I was doing a press and pull workout. So like bench-press, and pullups, and that kind of thing. So I grabbed- and I was just really feeling my Wheaties man this day, so I grabbed some 110's, a couple of 110 pound dumbbells, and this is basically- we're talking about this weighs a lot more than I do, these two dumbbells. And I grabbed them, and I felt like one of them was going to kind of fall out of my hand, which was just a little unusual, but I was just like, 'If I just get them up, I've got it,' you know? And it popped, and it felt bad, alright? But here's the problem, even at this stage, because I opened the show talking about how we can kind of fall down the rabbit hole of like bad programming, old programming, and you've talked about this too. I still finished the set. Not just that, I still finished the workout. Jay Ferruggia: Of course, right. Jay Ferruggia: Yeah, shake it out. Shawn Stevenson: You know, hard-headed guy. But I learned so much through that experience because I've been so healthy for so long, and I just kind of forgot what it's like, and when you are not able to do stuff that you're normally able to do, it starts to play with your identity a little bit and you start to get this weird kind of envy as well. I would see- just seeing people walking around like picking up stuff, it was like, 'You're so lucky you can pick up that bottle.' Whatever, you know? Because I could barely turn my steering wheel. And I had the steel clubs, and the steel maces, and they just kept calling my name but I kept ignoring them, you know? And so sometimes these things happen to get you to do the thing that you say you're going to do. So I could totally identify with that, man. But something that we talked about together- and no, actually before we get to that, your wife. I got an opportunity to hang out with her as well. Let's cater this information to the women that are listening. Guys can't look like Arnold, you know you try so hard. Jay Ferruggia: Yeah if it was that easy, I'd be humongous. Shawn Stevenson: Exactly, but you are kind of humongous, bro. So here's the thing, what do we do for women as they want to progress and just be the leanest, healthiest version of themselves as well as they move on in age? Jay Ferruggia: Yeah, well I find in general females don't tend to get beat up and injured as males. In all the years I've worked with females, I could probably count on one hand the amount of times I saw them really get injured. They tolerate volume more, they tolerate frequency more, they can do slightly more reps with the percentage of their one-rep max. So that means if I had a male- let's say we had two twins, a male and a female. If I give them 80% of their one-rep max on any exercise, the female would be able to do more reps with that than the male will. So in general, I like to give females slightly higher reps, but not crazy. Like if I give a set of five to seven to a guy, the female might do six to eight or seven to nine, just slightly more. And again, they can tolerate, they recover faster, they have a higher pain threshold. Shawn Stevenson: Yes tell it, bro. Speak about this, man. Jay Ferruggia: That's 100% truth, they have a higher pain threshold. So I would say I tend to be- I tend to lean on the side of safety more with males than females because as long as they're smart, I don't see them getting banged up that much. And they need to take the same approach. As you get older, especially as you get older, because you know as you age you're going to lose muscle mass each year if you do nothing, but you can prevent that by training hard, training heavy. And even if you train at home, if you don't have barbells, you still need progressive overload and to go heavier. So let's just say you're doing step-ups and split squats for your lower body, you need to use heavier dumbbells or at least make the exercise more challenging. So even if you just had light dumbbells, make it more challenging by doing a skater squat, or a pistol squat, or pausing at the bottom. You still need that progressive overload all the time. It's key. Shawn Stevenson: Yes. Thank you, man, because this is so important. And for everybody listening, and especially we're talking about all the ladies that are listening right now, we cannot caught in doing that same exercise program over and over again. Even if it works for you, and you're starting to see the results taper off a little bit, it's just again the progressive overload. Maybe you use a little bit heavier dumbbells, maybe you do a little bit more volume, maybe you do more reps like he talked about. Also another thing was the concentric and eccentric parts of the movement. So maybe it's a squat, maybe you go much slower on the way down, and you know, maybe explode coming up. There are so many different ways to change it up, but you don't want to get stuck in a rut in doing the same thing over and over again, because your body is always trying to figure you out and get adapted. Shawn Stevenson: So this is something we talked about together, but I'd love to dive into it here because I think this is the real heart of all of this stuff that we're talking about when we talk about becoming the best version of yourself. Changing your body doesn't necessarily change the deeper issues that make us want to change our appearance in the first place, right? And this was the case for you, so let's talk a little bit about that. Jay Ferruggia: Yeah so like I said, getting bigger and stronger definitely helped me a lot. 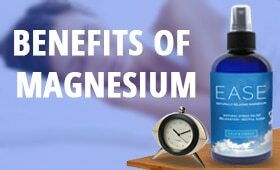 It improved my self-confidence, and I felt better about myself, and you know I always agree with what Arnold says, and what The Rock says, it starts in the gym. Like that's the foundation. You've got to get up, hit it, get after it. You've got to take care of your body, but what I realized was sometime in my late twenties, early thirties I was like, 'Man, I'm fifty pounds bigger-' actually at that point, I graduated high school at 147 pounds, and I'd gotten up to 225, so I was like eighty pounds bigger than I used to be. mentioned getting bullied and whatnot, but a lot of it came from my childhood. I remember my parents getting divorced, and before that years of screaming, and fighting, and I was kind of scared all the time. Like I walked around my house scared, like there was bottles breaking, and screaming, and I never knew what was going to happen, I'm always going to get yelled at or whatever, so I really lived in fear a lot, and I carried that fear out into the public. So I decided, 'Let me start studying the people that I want to be like. You know, let me look at what they do, how do they work a room, and let me start reading more books on it. Instead of reading another book on squats or whatever, I'm going to read about human psychology, and behavior, and read 'How to Win Friends and Influence People,' and that kind of stuff, and see what kind of transformation that could help me make. And so instead of focusing on- like when you grow up insecure like I do, you kind of think everybody is always looking at you, how can I fix myself and my own problems? And then I read things about other people like Jackie Robinson, quotes like that. So I started focusing externally on other people, and I'd leave the house each morning with the goal, 'Okay how many people can I make smile today? How many people can I say hi to? How many people can I engage?' Instead of being the guy who's always looking down like this at his cell phone, never take my cell phone out. Be the guy in the elevator that says hi to people. And I would start tracking that, because it was really uncomfortable for me. Like people who know me now wouldn't think that, but it was really uncomfortable for me to do that, so the way you track your chin-up or squat PR, I started tracking that. 'Okay how many compliments did I give today?' And at first it was really- like I would sweat just giving someone a compliment or talking to the person in the checkout line like the cashier. You know, 'How is your day?' And they don't get that, especially nowadays with everyone staring at their cell phone, so I'd do that all the time. Sometimes it's overwhelming, but if you leave your house each morning and your goal is to make someone smile, be nice to people. And that sounds crazy, like that sounds almost silly cliché, but I didn't leave the house with that focus, and now I do that all the time, and I make it a priority. That was another thing I would do. You know, Shawn as an entrepreneur, a business owner, you can work 24/7. would also take the reins, again this was uncomfortable for me, but I would start to make plans for everybody. So I would text everybody, 'Hey we're going to see Nas next Thursday. And people won't do that because everybody is busy, so you need to take the reins and start doing that. And you know, just things like that, like take action every day and it just changes you. And then here's another thing, like make decisions. That was awkward for me, I was nervous and insecure, now I always make decisions. Like give yourself- like pretend you're the President. Someone says something, you've got to make a decision. You know, that's it, like just pull the trigger and over time that becomes who you are and it becomes super easy, and then you attract more people into your life, and it's just crazy how it all kind of blossoms and snowballs into how I became a totally different person. Shawn Stevenson: Man, I almost broke out in applause a couple of times when you were talking, man. That's so powerful, and so awesome, and so real, and I just hope everybody gleans some nuggets of wisdom from that. And wow, just imagine the impact that we can have if everybody listened- thousands and thousands of us right now started to approach that in our day-to-day life. And by the way, I've been on an elevator with you, and I saw you speaking to everybody on the elevator. It was crazy. I was about to say, 'How you doin'?' You know? But I stopped myself. 'How are you doing today,' and engaging with them because probably people don't ask them, you know? Or if they ask it's just to kind of pass the time to just move on, you know? And it's so powerful man, and it starts to really build. Like I think that what you've done is you've built like emotional mental muscles as well as the physical muscles, right? It's just so crazy that people think of me like that because twenty years ago no one would have thought of me like that. Shawn Stevenson: Right, that's nuts. Social lubricant. I've got to use that, man. That's crazy. 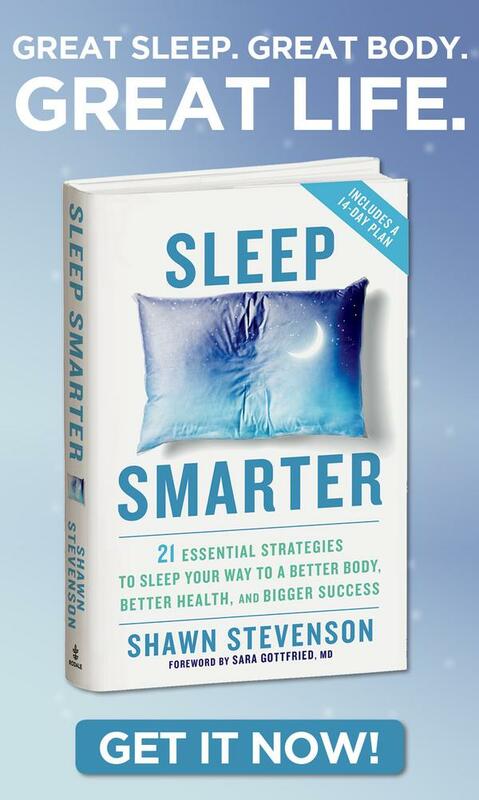 Shawn Stevenson: So you know guys, what we're going to do, I want to talk a little bit more about relationships, and I want to talk more about community because this is something that he knows a lot about and how this adds to your overall health equation and your happiness and well-being. And we're going to dive into that right after this quick break. So sit tight, and we're going to be right back. Alright we are back and we're talking with the one and only Jay Ferruggia, and also make sure to check out his podcast, one of the best podcasts out there. I was just a guest on the show. Honestly one of my top five favorite interviews of all time. And can you let everybody know what your podcast is? Jay Ferruggia: Yeah it's Renegade Radio. 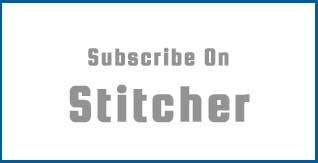 You can go to www.RenegadeRadioPodcast.com and it will send you right there. Shawn Stevenson: Perfect, and of course where you're listening to this podcast, you can find it there as well, in whatever app you are using. So let's talk about community. You mentioned a little bit about it, and kind of taking the reins, and scheduling things. Like literally taking your calendar out and putting things on the board because we can get wrapped up in our lives. You know just- especially if you're running your own business, or you've got a demanding job and work schedule. Let's dive in deeper and talk about why community and engaging with other humans is so important. Jay Ferruggia: Yeah I mean that's how we evolved, right? Like we evolved in small groups of thirty to fifty people, and you were always- it'd be really rare that you would even have any time alone. Like you'd get up, you'd hunt and gather with a group, you'd eat with everybody at the end of the day, and you'd even sleep low to the ground in small groups. Like you would never have alone time. Now we have so much alone time. Like we're more connected than ever but less connected because you can kind of feign connection by just staring at the device in your hand. You're like, 'Oh I know what everybody is doing. Why do I need to go out and meet up with them?' Which is crazy, that's not real life at all. So you need to get past that and really- it's especially important, again if you run any kind of brick and mortar business, foster that as much as you can. I have friends who do a great job of that. And for example in a gym, since this is a fitness-based show, if you run a gym, do things like have barbeques, have parties, meet up with people. The person at the front desk should know everybody's name. Everybody should get a birthday card. Do things to make people feel special. And if you're not in the fitness space, or if you don't own your own business in any way, just be the guy- like I said, no one's going to do that so do whatever you can to foster that. And there's a great book called 'Never Eat Alone,' and Keith Ferrazzi, and he talks about being a super connector in there. So every day one thing I try to do is connect someone I know with somebody else. Like it's just something good. Like help good people meet other good people, and if they become best friends and don't want me involved anymore, cool. That's fine, you know? Like just go out of your way to help people connecting people. And it does come back to you. People always remember the person who introduced them to this new band, or this restaurant, and especially all these great people. Jay Ferruggia: So always be doing that, always try to help people, that's a goal. Do things as simple as- this is one way you can use your device. Send a text message every day to someone you love and care about. And not just, 'I love you,' just tell them one thing about what you appreciate about them, and one reason you love them, and why. And so yeah man, I just think it's just super important, again especially in this day in age. We can be alone so much, and need to get out, and be the person who organizes that, and makes people feel good, and get out and do stuff. Shawn Stevenson: Now what about the argument that a person's just saying, 'I'm introverted. I'd rather be closed off in this room by myself.' So what would you say about that? Jay Ferruggia: So you know, the more I learn about the science of that, the more I've learned some of the things I teach might not be 100% true and correct, but it's worked for me, it's worked for everyone I've coached, organizations that I've worked with. Like no, that doesn't work. You can literally reprogram yourself like a computer if you get up every day with the intention of doing so. There's no reason you can't do that, so you can use affirmations. You can use visualization. Like anytime- when I was working on this stuff and really struggling, if I was going to a party, I would be using visualization like Aaron Rogers would before a game or something, or Arnold would visualizing his biceps like a mountain peak, right? So I'll do that before- not anymore, I don't have to, but I would go to a social event. If I'm going to a party, I'm visualizing, I'm seeing myself walk in the room as the proud, happy, fun guy that I want to be. And dude again, eventually it does become who you are. Just like if you're playing the guitar, your fingers are going to hurt, but eventually you don't feel it anymore. You squat 135, eventually it's easy and you squat 225. Life is progressive overload, right? That's how you can take the lessons from the gym and apply them to real life. Just get slightly better each day and each week, and then track it, and then even review it. I even did that- I was just at an event this weekend for four days, a lot of people, and I think I'm pretty good in that situation. But I had mental notes over the course of the weekend. And the thing is, like anything in life, you've got to get right back on the horse. So don't get down. If you go in and you're terrible, book an event, like go on www.Meetup.com and go to something the next day. Like constantly be out there doing stuff. You're not going to get better at it sitting home alone, so I always tell people go on www.Meetup.com, go on www.VolunteerMatch.org. Do whatever you can to constantly be out in front of people. Because I don't think anyone is naturally great at this stuff, but if you're introverted and socially awkward it's even more important to constantly be doing it, constantly working on it. Shawn Stevenson: Yeah man, wow so much good stuff there. And I don't think I've ever shared this before either, but I was definitely the shy kid in school myself, you know? But I also had the kind of cool mysterious guy. But at the same time, it was really difficult because a lot of things were going on without me being involved, you know? Shawn Stevenson: And it took a lot of time and just reps, like you said, to really come out of that shell. And for those who say, 'I'm introverted,' it's a gift in a way because of how you process. For me personally, being able to- like I'm a really- one of the things that I think makes me a good teacher is that I'm a really good listener. You know, and I've built up so many reps in just listening. Sitting back, I'm not engaging, but I'm paying attention. And so I really feel that part of what makes me great at this experience now is that I pay attention to things. And that doesn't go anywhere, you know? But now I also use my voice to help to share it. And there are so many stories. You know one of the people I'm thinking about, she is so successful, but she hit a new level of success she didn't even know was possible when she stopped using the fact that she's- and she's the most introverted person I know at that level of success. That she was using it as an excuse to not connect, right? Shawn Stevenson: And once she worked on that, man it was like not only is she successful financially, and just her reach, but also she is so happy now. And she even told me like she really feels that it saves her marriage too, you know? It's just so beautiful to see, and also that trickles down to everybody else that you communicate with. And so thank you for sharing that, and everybody pay attention, get those reps in, get outside of your shell, and there's a lot of different devices. Shawn Stevenson: You also- speaking of which with the acting, and just kind of being able to go on the fly, you're doing improv right now, man. What in the world- what got you inspired to actually do something like that? Because I think it takes a lot of courage. But what lessons are you learning from that experience as well? So improv is so great for listening skills, because Shawn, if you and I step out on stage and our suggestion is 'zoo,' I have to listen to what you say. I can't pre-plan stuff in my mind. So it teaches you to listen, and react on your feet, and the way I got into it was I was moving along in this kind of personal development and growth, and just like the woman you referred to, I was getting happier by the day. Like I was so happy, and I realized that making more money, and getting bigger and stronger wasn't making me any happier. Now I pursued this and every day I'm happier. So I decided- I was doing more public speaking classes, and I said, 'Let me do a stand-up class,' because I've always been big into stand-up comedy, which I also think is essential. Like if you're introverted and you work with people, as much as you might study business, or tactics like if you're a personal trainer, or you're a chef and you practice cooking, watch stand-up comedy. Like literally pull up Netflix or something a half hour a night and just get that comedy and the jokes in your brain and it will kind of change the way you interact with people. I think that's really important homework for people. So one of the teachers from Second City was there, and then he said, 'The new semester starts tomorrow.' I said, 'Well sign me up. I am there.' And I went in, and I believe in the power of improv so much now, that I think it should be required in all high schools and colleges because it is so good for you in any social or business situation. Again listening skills, reacting, thinking, speaking. The first rule of improv is, 'yes and.' So it teaches you never to say no. You always, 'yes and' your partner. So whatever they say, you say yes to, even if you disagree with it. Say you're in a business meeting, instead of saying, 'No that idea is terrible,' you say yes and then you figure out a way to kind of work through it. It's really- like Tina Fey has talked about how she's applied the lessons of improv to everything throughout her entire career. Amy Poehler has a great speech you can pull up online at a Harvard graduation where she talked all about it, and it's really powerful. So I really suggest if you have an improv school near you, take at least one class, and I think you'll be hooked. I mean I only thought I was going to do one semester for six to eight weeks, and I ended up being hooked for years. It's a couple years now. Shawn Stevenson: Amazing, amazing and to hear this story- you know, we're talking about a guy who went from the kind of scrawny- self-described scrawny, to this strong kind of heroic figure in fitness, and him deciding to do improv. It's so unexpected, but it's so beautiful. And if you know him, you just see like, 'Man he just makes things better when he's around.' You know? And I think that these small things, guys adding these to the mix or even having the courage to experiment. There are many other things besides improv, but I think it's a great tool, and something maybe you might not have considered before, now it's the first time you're hearing it, and what a great impact that it can have. So man, thank you so much for sharing that. And by the way, also about- he gave a tip about especially if you're wanting to be more social, and you're kind of in your shell to watch stand-up comedians, I think it's a great recommendation. Jay Ferruggia: No I haven't seen it yet. I can't wait to see it. Shawn Stevenson: It's so good. He did a bit about cereal. I put it on my InstaStory. Just talking about cereal and that whole thing that kind of just destroyed our lives as kids, you know? Jay Ferruggia: Oh I did see a clip of that. 'It's not like cookies, it's actually cookies. Shawn Stevenson: It is cookies, you know? Shawn Stevenson: So amazing, man. And earlier when- and this is just right now, I haven't done this before on the show, but when I said earlier top five favorite interviews, it made me think about top five. Like what is your top five? Top five MCs, let's get into it, man. Who you got? Top five MCs of all time. Jay Ferruggia: Alright, I can't put them in order, that's really hard. But I'm going to go Rock Kim, Big Daddy Kane, Eminem, and this is where it gets tough because I think Treach is highly- Treach from Naughty by Nature, I think he's highly underrated because people think of only the popular songs like O.P.P. Jay Ferruggia: And man, if you listen to that first album like Pin the Tail on the Donkey, 'Yoke the Joker,' and he was nineteen at the time. Treach is right there for me. Andre 3000 is right there for me. You can make an argument for Black Thought or Talib. It's so tough. Shawn Stevenson: You went five, you added another two in there. But it's tough, I know it's tough. Jay Ferruggia: It's so hard. Shawn Stevenson: And with Treach, I was totally not expecting that, but I could see that. And fun fact, eighth grade talent show we did a routine to 'Hip Hop Hooray,' a dance sequence. Shawn Stevenson: This is so random, I know, and I can remember it. We had it on VHS for so long, we all had those long shorts that were like neon colors, right? And we actually got approached by like this talent manager, something but he was like going to have us do shows, and all this stuff. Shawn Stevenson: I'm so glad I didn't go down that path though. Anyways, so top five, let me jump in. Jay Ferruggia: Have you shared yours? Oh yeah, top five, I need your top five. Shawn Stevenson: Alright let's see. Alright I'm going to go Jay-Z because of the evolution and the longevity. You've never seen anything like it before, and you know it's just the flow, and just the ability to make songs. I'd have to definitely say Biggie would be in there. I think he's probably definitely up there with the top one or two lyricists, and his flow also. Tupac for sure because of the delivery. Like the best delivery, most passion. Who else would I go with? I'm going to go unconventional like you did too, man. I'm going to throw Lauryn Hill in the mix here. Shawn Stevenson: Because of her being an icon, and her really tying in the singing and the rap at a level that- this is why we have Drake, this is why we have Nicki Minaj for example today. Like she really paved the way, but it was such a level of talent and skill to what she was doing too. And let's see, one more. I'm going to go LL. LL Cool J.
Shawn Stevenson: Because of he changed culture. He changed culture, he brought a new kind of style to rap, and I think he was really one of the, if not the person who kind of transitioned it into more of the pop arena. Shawn Stevenson: And also him bringing more styles to it. Like the kind of love song in the rap, you know? So that would be my top five. It's tough, man. There are so many other people that I would say. Jay Ferruggia: It's super tough. Yeah we both forgot Nas who you could always add in there. Shawn Stevenson: Oh Nas, Ice Cube. So yeah man, thank you for sharing that, man. And let's close with talking a little bit about routine habits. How much does that play into overall success? You know, for a lot of people, they're trying to add in some things to try to create healthy habits. Oftentimes we think about habits, we think about bad habits, right? How important is it to cultivate positive habits? And is that even possible if you've got a lot of stuff going on in your life? Jay Ferruggia: Yeah so I think what's important for everybody to do is kind of do an 80/20 evaluation across the board. I love the book, 'The One Thing,' and I think people try to do too many things. We're all guilty of this. I still try to do it every day, so I have to remind myself. That's where I think habit and routine is important. So there's a question in 'The One Thing,' he calls it the focusing question, and I think it's 'what is the one thing I can do today?' And you could apply it to all different- to your fitness, to your business, whatever. So you kind of dial in and focus, and so I've kind of gotten in this morning routine where I get up, I meditate, it's almost cliché now to meditate, but you know meditation really does make a difference. It's obviously not a gimmick, it's been around forever. So I get up, I meditate, I write in a journal because I want to start in a positive way. So I don't write a to-do list, I do that the night before, so I already know. You don't want to get up- you don't want to get up and react. You want to take action. So if you get up and you look at your phone, you check email, and you check Instagram, you're just kind of reacting. You want to take action. So first thing in the morning, I believe it's super important that everything is off. All off in the first hour, have that to yourself, and then you're taking action instead of reacting. So I meditate, I journal. I'll write down the names of five people- minimum of five people, and it ends up sometimes being seventeen people that I'm grateful for in my life. I write three things that I'm grateful- five people, three things. Like, 'Oh the sun was out yesterday, or I got to the beach, or I had an amazing workout, or I had an amazing podcast with Shawn,' whatever it might be. So I do that, so I'm happy, I'm grateful, and that kind of just carries into the rest of the day. Then I have one most important task that I'll work on before I turn on my phone and start reacting, and things like that. Because even when something bad happens, like you know, you don't want to react to that because then your whole day is out of control. And what can you do if let's say your favorite singer dies? Like I was a huge Tom Petty fan, Tom Petty died. If I knew that first thing in the morning, my whole day would have been crushed and the reality is that each of us has a gift. Each of us can do something, like I talked about earlier, to make somebody else smile. Like you have to be a beacon of light. And this is something, like twenty years ago or even ten years ago, if something happened I would be down. I was one of those people who lived in the past a lot. Like, 'Oh man, it was way better back then,' or I would regret things. You always have to move forward. And just think, people around you need you. Like they need you to be that beacon of light. When things are bad, you need to smile, and be happy, and uplift people. So I'm kind of getting off on a tangent here. Shawn Stevenson: It's awesome, man. Jay Ferruggia: But anyways, so that's why I think it's important to just get up, do your thing, focus on you first thing in the morning to be your best self, because if you don't love yourself and if you're not your best self, you can't do all the things that we're talking about here, and that Shawn talks about every week to help other people. So focus on yourself first thing in the morning before anyone else is up, do what you need to do, and then go about your day. And the rest of my day is kind of loosely structured. At least I get that hour and I have my routines, and the three to four things that I need to do. Throughout the rest of my day I'll train obviously, I'll read- I always like to read for at least an hour a day, and like I said I make it a point to always be out doing social activities with friends, and things like that. But yeah, I mean routine is super important. So it's important to have that discipline and structure in your life, and then you have more freedom. Shawn Stevenson: So powerful. I've literally shared that quote on this show as well in the context of creating habits, when we did a habit episode, and we'll put that in the show notes. Also the show we did with Jay Papasan who's the co-author of 'The One Thing,' for everybody too. And the thing is, you are just the embodiment of these things, and you moving forward and being the light, I think that puts you in situations where you have experiences like you just had. And you were one of the last people to actually see Tom Petty, I think it was just like days before. Shawn Stevenson: And you were there- I think you took your mom to his concert, right? Jay Ferruggia: Yes I did, yeah 100%. Shawn Stevenson: That's so powerful, man. And I think that also, you know gleaning from that and what you've just shared, it's not about not feeling about the things that are going on in the world. And man, so powerful, man. I just think you're one of the best in the game, and I think that you are just a genuinely great human being, and I'm just grateful for you coming on the show today, man. Jay Ferruggia: Thank you so much. My brother, I appreciate it so much, thank you. And I feel the same way about you, and you know that. Shawn Stevenson: Awesome man, yes. Can you let everybody know where they can connect with you online, and where they can get connected to your podcast again as well? Jay Ferruggia: Sure, absolutely. Since my Italian last name is really long and hard to spell, you can go to www.Jay.fit and that will redirect you to all my stuff. You can find all my social media on there, and again the podcast is www.RenegadeRadioPodcast.com. Shawn Stevenson: Perfect! Jay, thank you so much for coming on, man. I truly appreciate it. Jay Ferruggia: Thank you, Shawn. Shawn Stevenson: Awesome! Everybody, thank you so much for tuning into the show today. I hope you got a lot of value out of this. Now we've covered some serious ground here, and some things that I didn't even know we'd talk about, but every single moment of this episode has tremendous value in it because we get so caught up on the external, we get so caught up on our physical appearance or the appearance of things around us, but everything that we see is not birthed from there. Everything that we see comes from within. It comes from within the mind of ourselves as human beings, bringing our ideas into reality, and from the mind of a greater presence. And every single building, every- as I'm looking at this huge mixing board and my team in here, all of these things come from the mind of other people, and from- literally from within our own spirit. And the more that we can realize that, the more that we can tap into that and understand how powerful we are, I think the more that we're going to be better off. Because right now there are a lot of people who are feeling disempowered. And getting messages like this from people who have actually walked the path, it hasn't been an easy road, nobody said this was going to be easy, but the struggle part is optional. You don't have to struggle. You're definitely going to have hard times, you're going to have obstacles that get put in your path, but the struggle is optional because it's really how you see it. It's how you view the obstacle as either the thing that's just here to take you out, or the thing that's there to make you better, and to make you stronger, to help to develop dormant qualities and capacities in you that you didn't even know you had. And I truly feel that a lot of times, the things that we want, the things that we ask for, the things that we pray for, life is qualifying you for those things. It's not that you can't have them or that they're so far removed from you; these things are actually closer than you could ever realize oftentimes, but we're just not in the position that we can actually have those things. Because real talk, some of the things that you're wanting right now, you might not have the skillset and the experience and the character to be able to maintain it, right? We don't want to just have a day of happiness, we want to be able to maintain that. And so life right now is really about cultivating those skills, those capacities, those talents that you do have because you cannot be born here and not have these things to be able to have the life that you deserve. Alright? So I hope you got a lot of value out of this today. If you did, please make sure to share it out with your friends on social media, Instagram, Twitter, Facebook, all that good stuff, and definitely check out Jay and his amazing work. Previous post: TMHS 252: Turn Your Struggle Into Strength & Ignite Your Transformation – With Shaun T.
This post with Jason was very helpful for me as a trainer.